Here at Arabia we are raising academically motivated students. Parents please speak with your children about doing their very best each and every day. Students need to make sure that they are dressed appropriately, electronic devices are put away, and that they are making positive decisions throughout the school day. 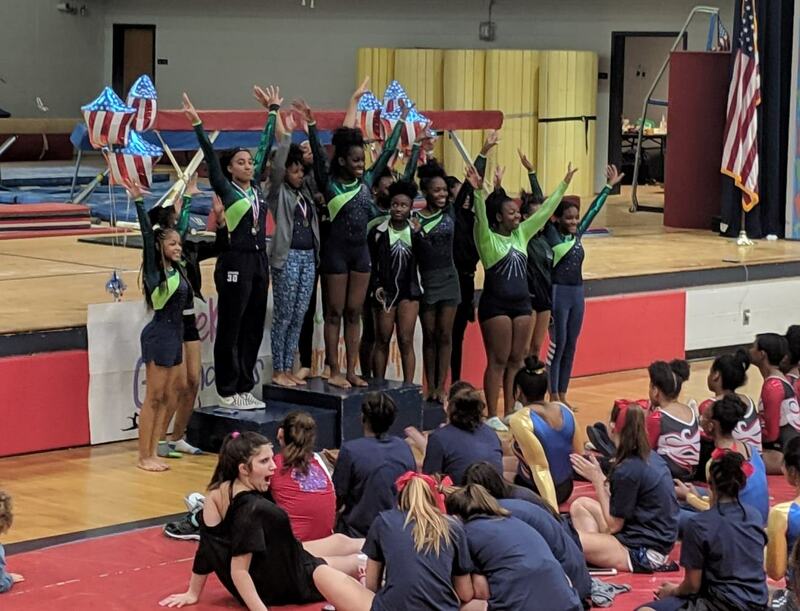 Congratulations to our Gymnastics Team, under the leadership of Dr. Jacquelyn Jones and our Track Team, under the leadership of Mr. Nathaniel Webb for their performance in the County Tournament. Way to go Rams!! If you have any questions about your child’s grades please contact their teachers. The End of Course test will begin on April 23rd and end on May 1st. We want to make sure our students prepare themselves to exceed expectations on this assessment. Study guides and blueprints were emailed on January 12th and can be found on our website. Student can also practice using this link http://www.gaexperienceonline.com/. Our next PTSA meeting will be held on April 16th at 6:30. Please come out and support our PTSA. The 13.5 week progress reports will be issued on May 10th. If you have any questions be sure to contact us at 678-875-3602 or visit our website. CLICK HERE to view today's daily announcements. 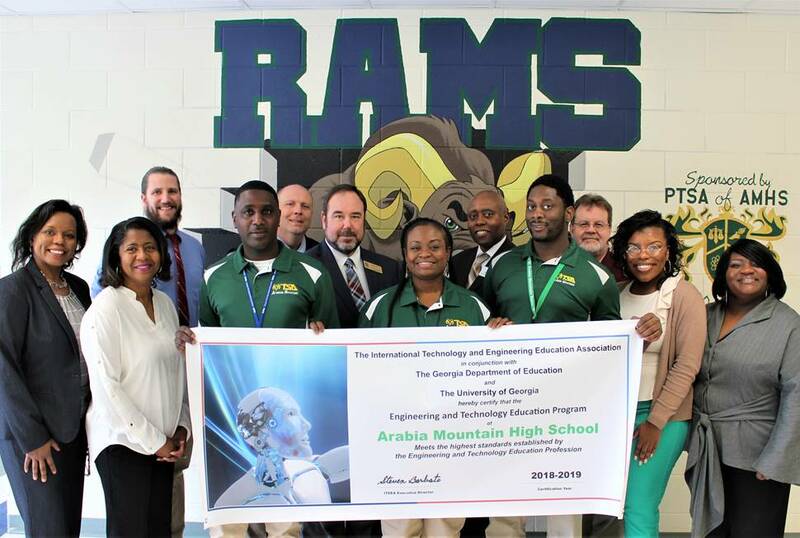 Please join us in congratulating the Engineering and Technology Education Program at Arabia Mountain High School. They have been awarded Program Certification for their Engineering and Energy System Programs. They have received $5,000 for successfully completing the process. 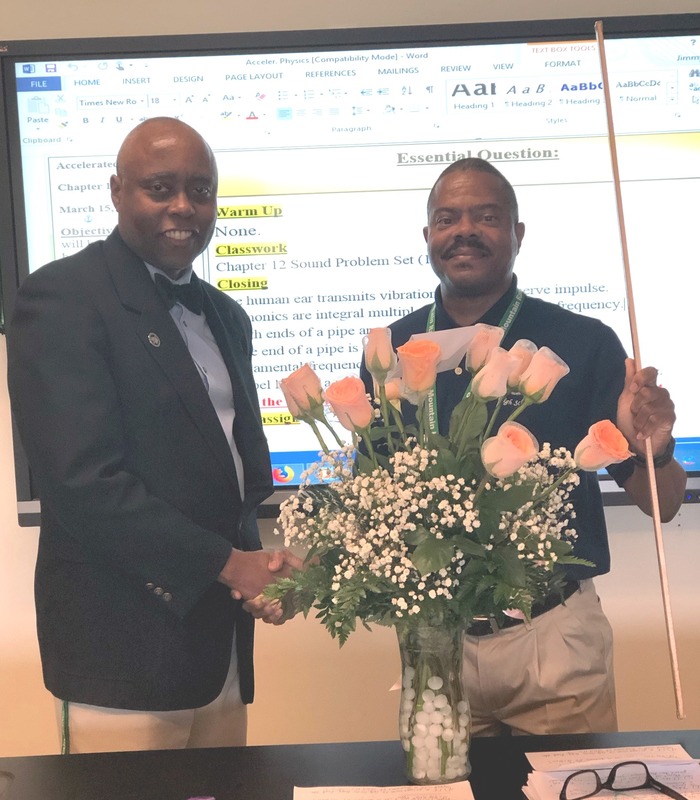 Each ETE teacher, received a banner and framed certificates from the International Technology and Engineering Education Association (ITEEA) and the Georgia Department of Education.Congratulations to Arabia Mountain for their hard work during this process. On Thursday, March 28th, our AMHS Gymnastics Team represented well yet again!! At the DeKalb County Meet, Arabia HS placed 4th out of 12 schools!! Jayde Spann was 6th on vault (out of ~40 gymnasts). Ashlynn Carthan was 4th on vault AND 4th on floor (out of ~40 gymnasts). A shout-out to our seniors, Kendall Brownand Makalya Richardson, also team members, Jayde Spann, Danyla Butler, Kyra King, Amiri Palaez, Keslyn Billings, Joelle Stamper, Ashlynn Carthan, Lauren Dudley, Jada Smith, Jordyn Simmons, Raven McRae, and manager, Kalaeya Redding. Good luck to Ashlynn as she has qualified to move on to the State Qualifier on floor! Way to go, Rams!!! 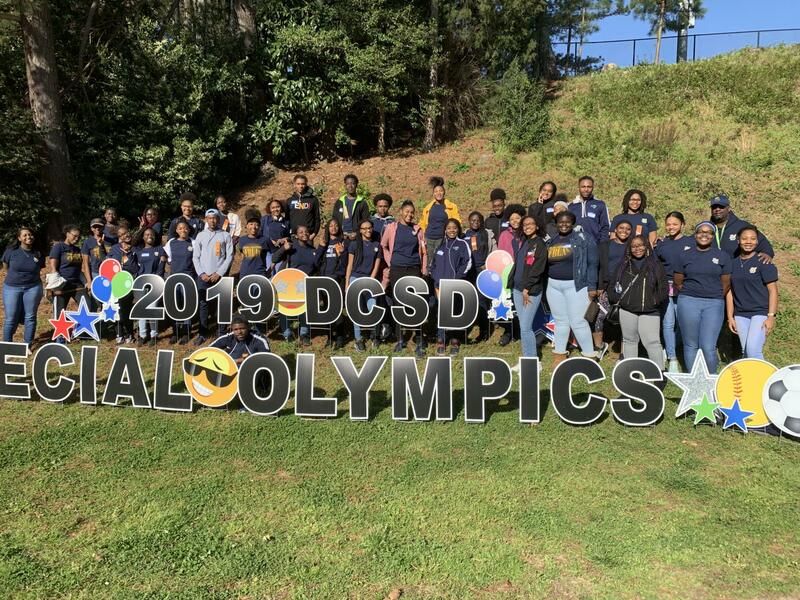 Students in FBLA attended Dekalb County School District's Special Olympics on Wednesday, March 27th. Another opportunity in which our FBLA supports the community. Way to go, Rams! Click here for their pic. Congratulations to our AMHS contest winners in the GA Laws of Life Essay Contest. 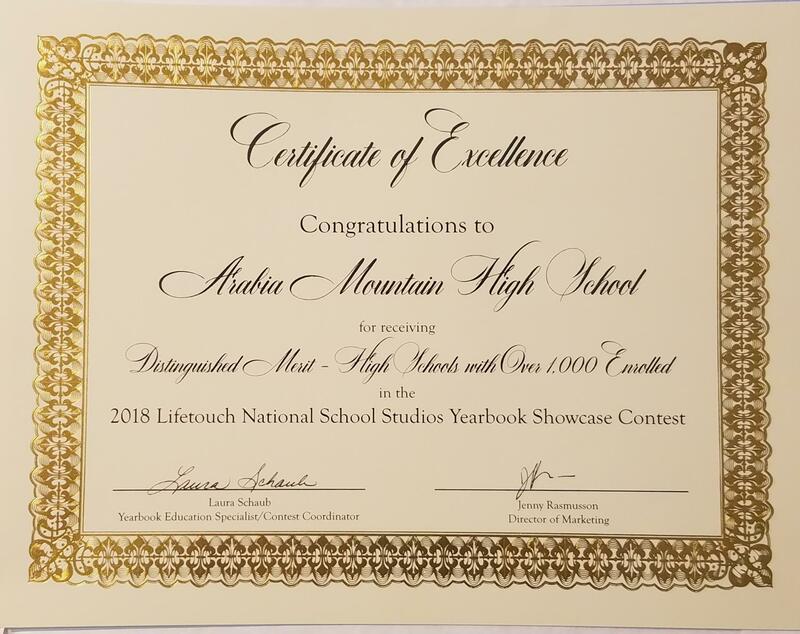 Click here, then congratulate and encourage these students! 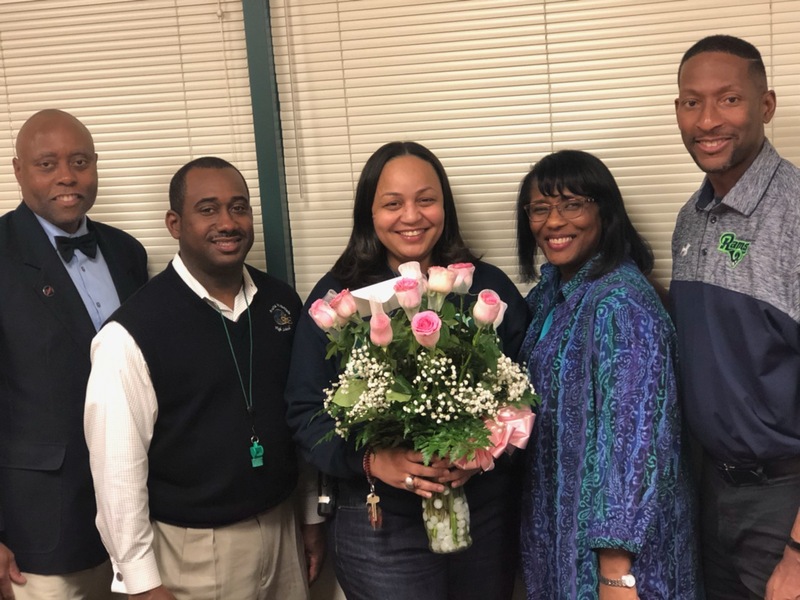 Educational Support Person II - Ms. Tanya Mason. Thank you for being a significant part of our school community!! 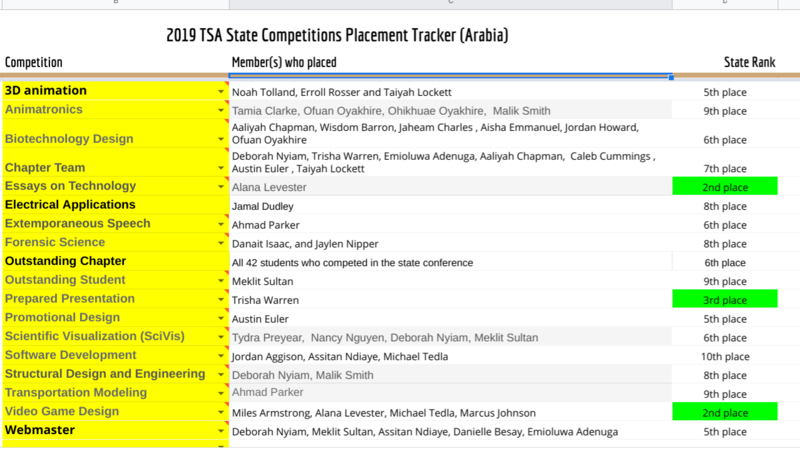 Arabia High's Technology Student Association (TSA) are the #1 TSA Chapter in Dekalb County and #6 in the state of Georgia! Congratulations are indeed in order!! Click here for the Competition Placement Tracker. Please see our Daily Announcements page for more details. 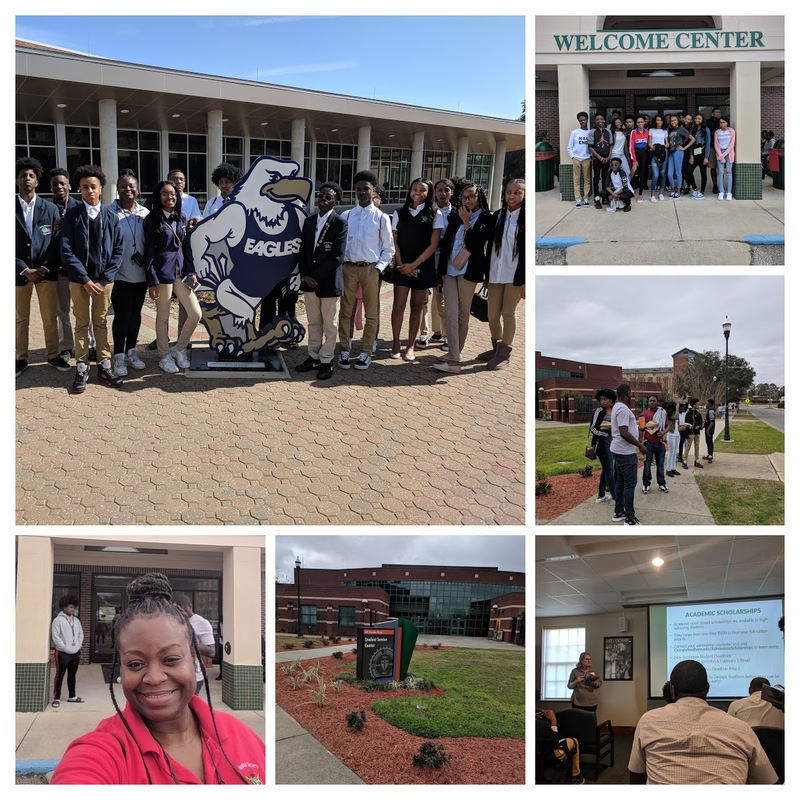 Engineering and Energy department had an excellent time touring GA Southern University on 2-7-19 and visiting Florida A&M and Florida State's Engineering Departments on 2-8-19. Here is a collage of some of the pictures. AMHS Students Win at Technology Fair! CONGRATULATIONS to our AMHS students who placed at the Technology Fair in January...Way To Go, Rams!! Click here to see the names of all our winners! Congratulations to Ms. Hamilton, Taiyah Lockett, Ahmad Parker, and Ms. Derringer for being named STAR students and STAR teachers!! 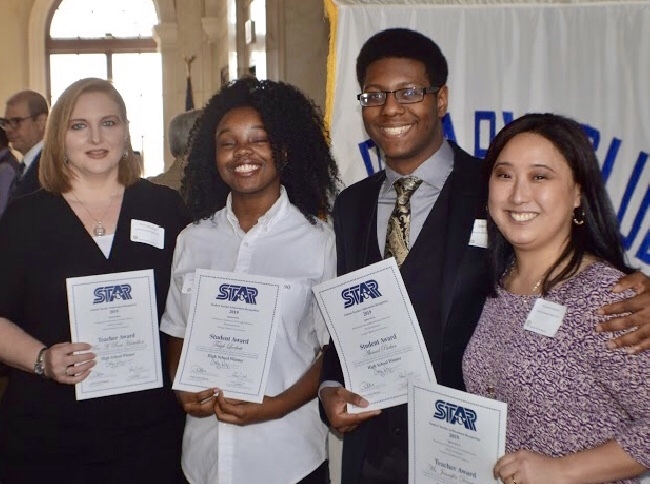 In order for students Taiyah Lockett and Ahmad Parker to obtain Student Teacher Achievement Recognition (STAR) student designation, each must have had the highest SAT score taken during one sitting throughout his or her senior year. Hats off to each of you!! CLICK HERE FOR ANOTHER PICTURE!! 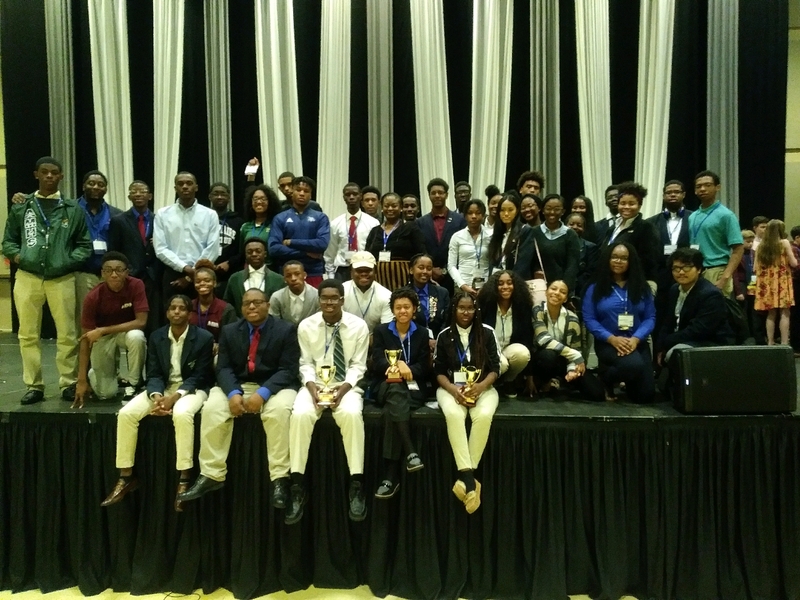 We had a great time at The Georgia TSA Fall Leadership Conference! 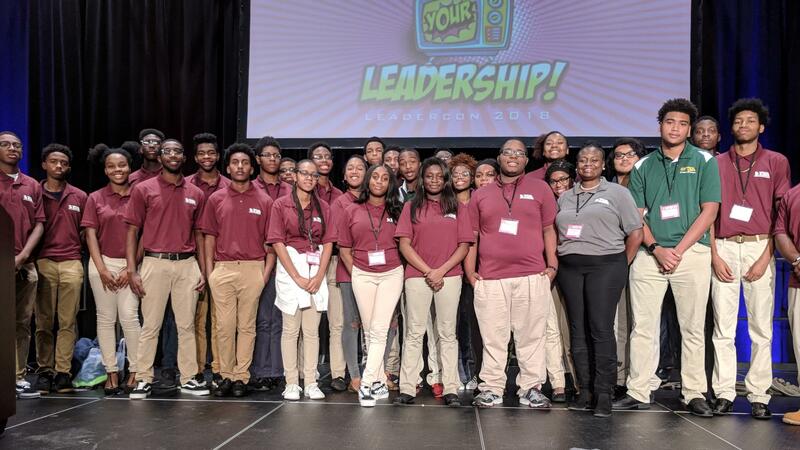 We learned a great deal about leadership, teamwork, community service, college opportunities, and techniques for being successful at our state conference in Athens Georgia in March of 2019. In addition, we have five students who won the Georgia TSA Statesman's Award at the conference. 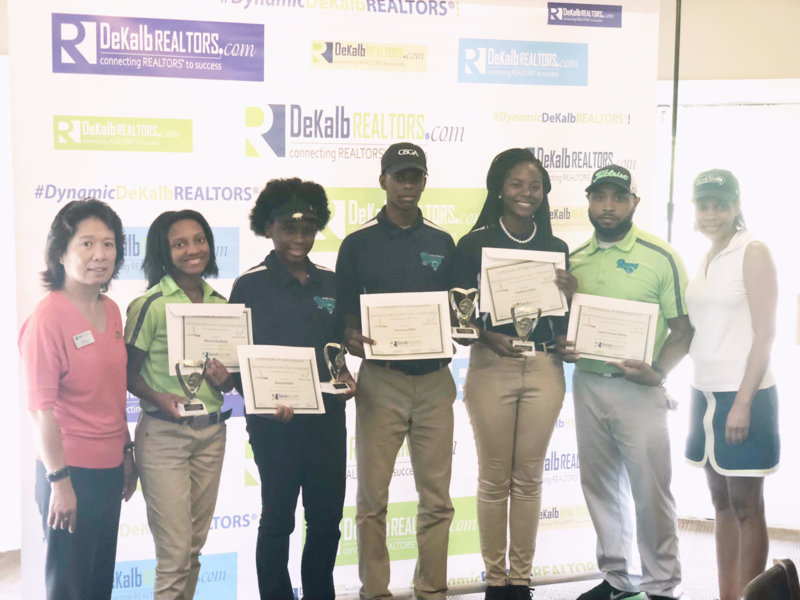 The Arabia Mountain HS Golf Team shot a low score of 69, which was 3 under par to come in First Place in the Dekalb Association of Realtors Golf Tournament. We defeated Chamblee, Tucker, Druid Hills and Redan High School. 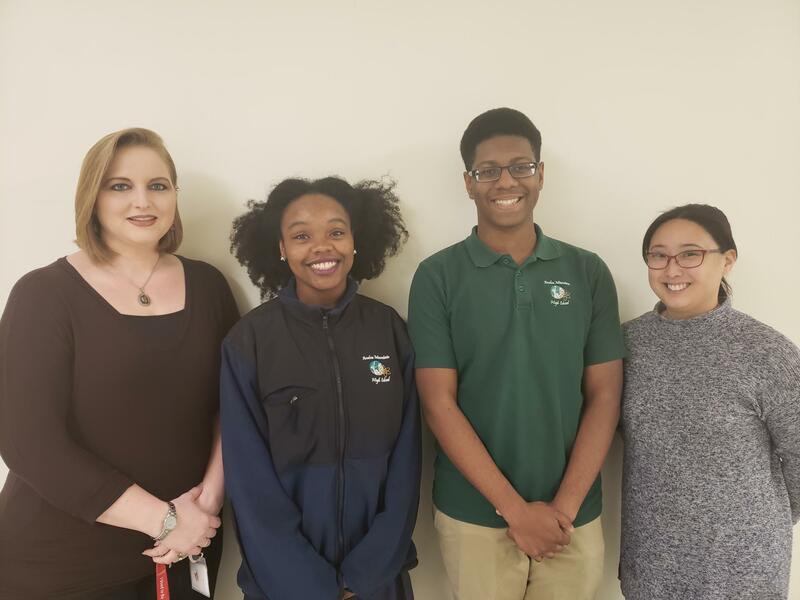 Our foursome team of students included Torrance Allen-12th grade, Miracle Goolsby-11th grade, Kristina James-10th grade, and Danyla Butler-9th grade. 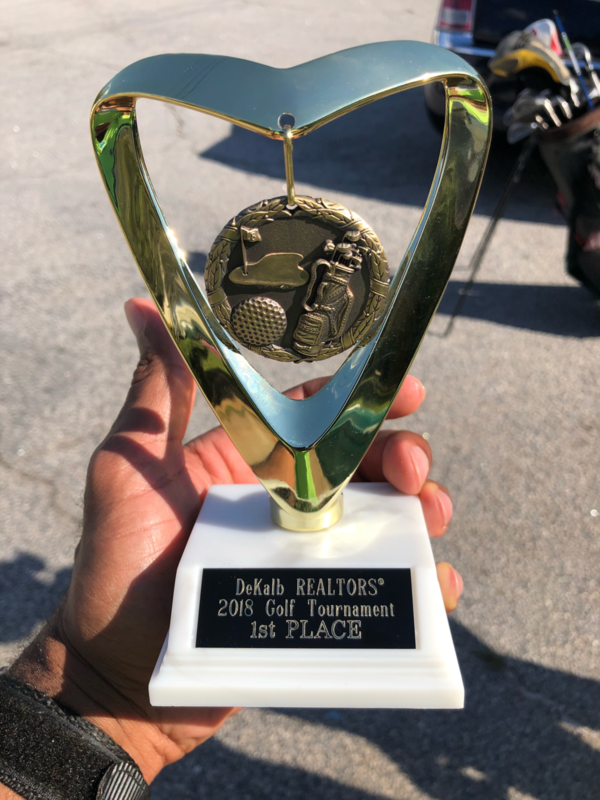 The AMHS Golf Team did very well in competing in the tournament and positively represented Arabia Mountain High School in the community. Lists A & B weeks for the entire school year. This letter explains parents' rights to know the professional qualifications of classroom teachers as directed by the ESEA. Click to access the summer assignments 2018 webpage. Access to DCSD Testing Info for parents and links to student EOC study guides. Use this link to access the Work Permit Application on the DOL website. AMHS photos: Rams On the Move! Click Here to visit the AMHS PTSA website! The Arabia Mountain High School WebStore is open for business! This online store allows parents and their students to easily and securely purchase school items online such as class fees, club dues, field trips, yearbooks, etc. Click Here to access the Webstore! All students who are not participating in school-sponsored activities must vacate the building and leave the premises no later than 4:00pm daily. This is in accordance with state law and the DeKalb County Student Code of Conduct. 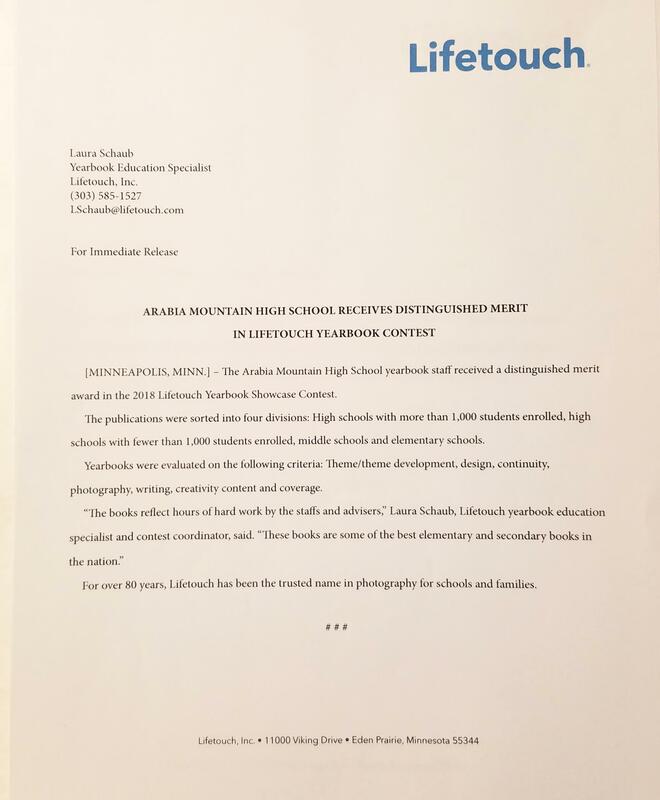 Click Here to download the 2018-2019 letter from Dr. Swanson to all AMHS parents explaining this policy in detail. Infinite Campus Parent and Student portals are available to you! 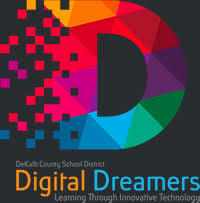 Please Click Here to visit the DSCD Campus Portal webpage for more information or contact Ms. Ellis in the Arabia Mountain High School front office. Vickie B. Turner is an educator with over 24 years of experience and is a 20+ year DeKalb County resident. She is co-pastor of Augustine Chapel with her husband. Turner has a Masters of Education from Troy State University and a Bachelors of Science from Bowling Green State University. 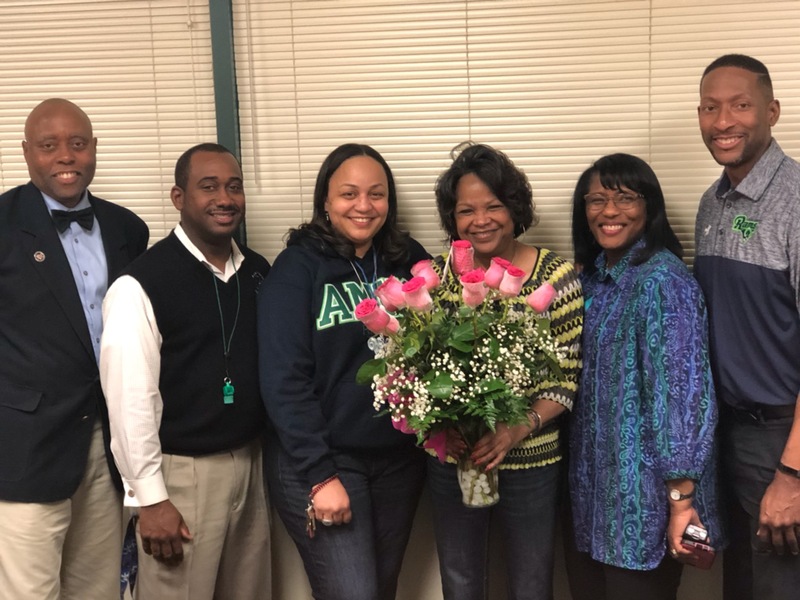 She currently oversees the day-to-day operations of The Augustine Preparatory Academy of Atlanta (TAPAA) which was formed from Cathedral Academy (est. 1984).